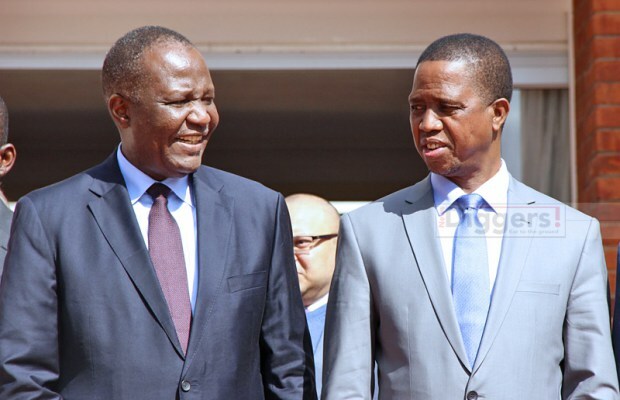 The Minister responsible for Finance, Felix Mutati, has been that fervent voice of assurance and predictability to the market. However, he has always been putting his foot in his mouth with regards to the IMF loan facility. To begin with, he claimed that as opposed to post 1990’s when the Fund prescribed conditions of engagement with member countries, Zambia was will this time around actively shape the rules of engagement as an equal partner. This is absolute false. You do not go to the lender and determine the rules of engagement. As if that is not enough, the Minister has had on two occasions this year assured the nation that an agreement with the IMF would be reached before the first quarter. Be that as it may, Zambia has not yet laid the application for the program on the table for consideration. My concern is that the more he continues to make a cacophony of empty promises on the deal when there is nothing yet, the more the market will keep thinking may be there is something terribly wrong with our economy that is causing the delay of the IMF deal. Contrary to earlier assertions that our engagement with the Fund this time around would be on equal footing, there are certain conditionalities that we have to meet. In the face of our public debt standing at USD 12.45 billion, which amounts to 47 percent of our GDP, fiscal deficit of 6.8 percent of our GDP, 51 percent of our domestic revenue going towards the wage bill for civil servants and 20 percent of our domestic revenue going towards debt servicing, this is of great concern to the Fund and surprisingly even to those who not long ago exhibited huge appetite for borrowing. One of the cardinal conditionality is to show in concrete terms how we are going to deal with our deficit. Simply put, if we say we are going to reduce the deficit by scaling down on our expenses, we have to specifically mention projects that would be stopped or whether we shall impose a wage and an employment freeze in the public sector and show how much money we expect to save from that. If on the other hand our target is to increase our revenue collection, we have to specify what new tax measures we are going to come up with and how much money we expect to raise from that. On the contrary, Government recently announced salary increment for civil servants as well as a projected recruitment of about 2,000 employees in one sector. Furthermore, 30 percent of our budget will be financed by both domestic and local debt. With the wage bill currently standing at 51 percent of domestic revenue, public debt at 47 percent of our GDP and fiscal deficit at 6.8 percent of our GDP, it is unlikely that we would be seen as a people committed to dealing with both our debt and deficit in a sustainable way when our next year’s budget has no practical solutions therein on how to come out of this precarious situation. If our suggestion is to deal with the deficit through more revenue collection, projected domestic revenues, which amounts to 67 percent of the budget, can only help us pay for civil servants and service loans. Consequently, if we have failed to demonstrate how we are going to deal with both the deficit and debt in our national budget which is only the legal and official guide for managing our resources, how will a separate piece of paper that we are going to submit help us clarify certain matters that are required before we are recommended to be put on the program? How will the IMF Mission Team risk their careers by recommending to the Board of Directors that we be considered to be on the program when our words do not match our actions? In the final analysis, Mutati has been playing lip service as there is no real commitment in next year’s budget to what he has been preaching. The much talked about “Zambia Plus” program, whose foundation was based on Mutati’s claims that “we cannot spend what we do not have, we cannot borrow beyond our ability to repay,” when 30 percent of our budget next year is going to be financed by debt while our overall debt is equivalent to 47 percent of your GDP is nothing but mere political rhetoric. And there is no way the IMF deal can go through when we have failed to demonstrate how we intend to deal with our deficit in a clear way unless indeed Mutati has acquired special abilities to impose his conditions on the IMF.